The Water Store has transformed into a company where we assist homeowners receive clean water to their homes through a variety of systems. Being apart of the Water Quality Association (WQA) seemed like a no-brainer to us, but some of our customers might not know what this membership means. The WQA is a voice of the industry for water treatment in homes and businesses, a resource, and a laboratory for product testing. Their existence alone is reason enough for us to join, but there are even more fundamental reasons we love being associated with the WQA. Our missions align. 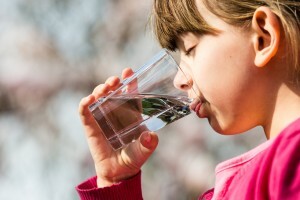 We are dedicated to providing clean, safe drinking water for your home or business. Our experts pride themselves on being able to help you sleep easier at night knowing your water is free of harmful contaminants. WQA’s goals to be the recognized resource and advocate for the betterment of water quality mean we work side-by-side to help each other offer the best services possible for the community. Our desire to improve aligns. WQA focuses on science-based decision making and the advancement of technology to improve water quality. The Water Store has and will continue to adapt with new and improved technologies to provide better services every single day. Our values match. Working with an organization that shares the same passion, ethics, integrity, professional standards, and influential leadership means we only improve as a business. WQA works to better our water, and we are excited to be apart of that process. If you’re looking for a water filtration system in NH, look no further than The Water Store. Give us a call today at (603) 899-6680 to schedule a water test.